Today, we travel to Belgium the home of artist #TheodoreGerard (1829-1895). Gerard was a nineteenth century Belgian painter whose fame came from his depiction of delightful genre scenes. He drew his inspiration from the idealised charms of rustic life in the Low Countries ( Netherlands, Belgium, Luxembourg). 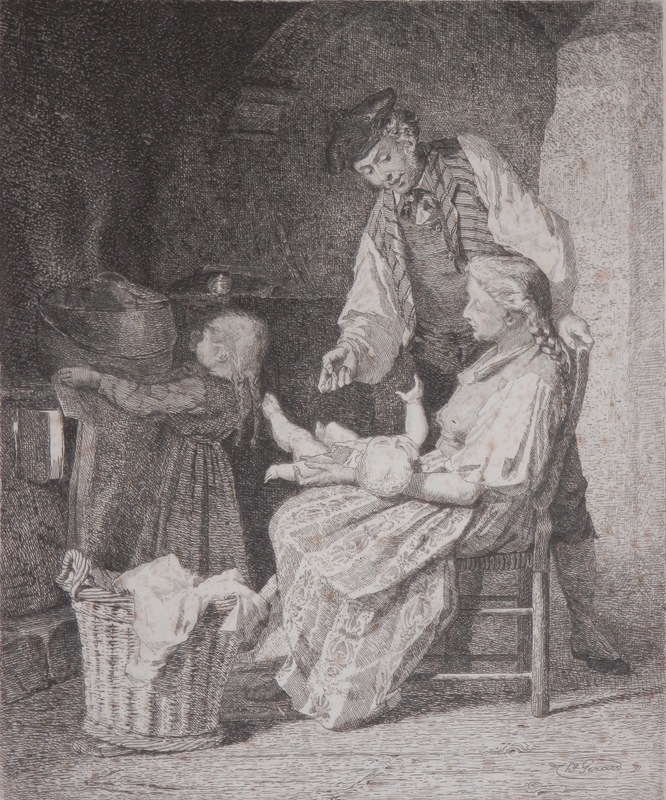 This entry was posted in Etching and tagged baby, child, family, farm house, father, mother, Theodore Gerard. Bookmark the permalink.